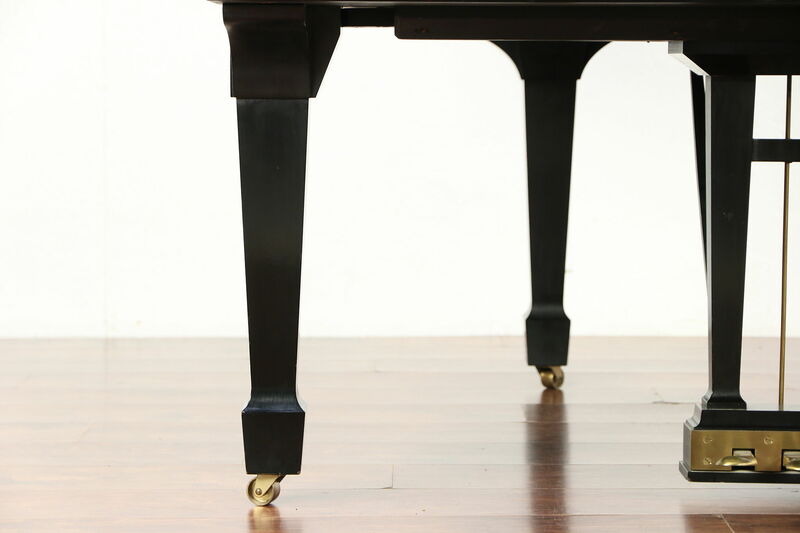 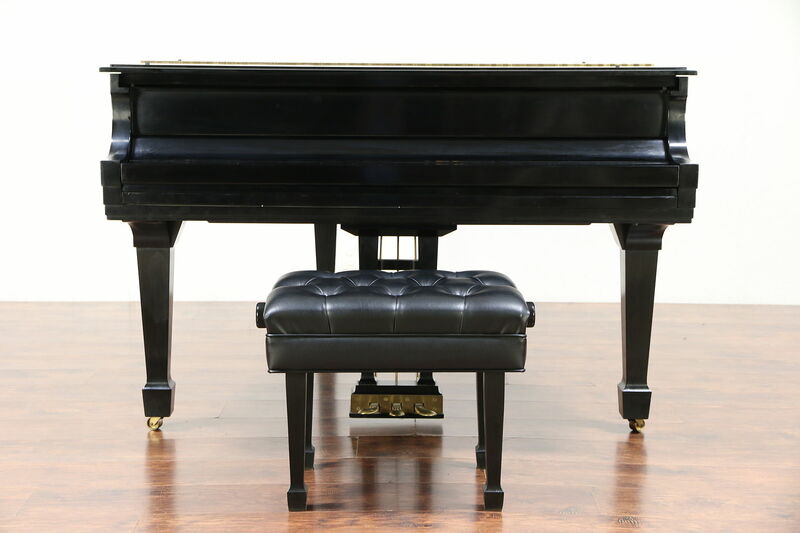 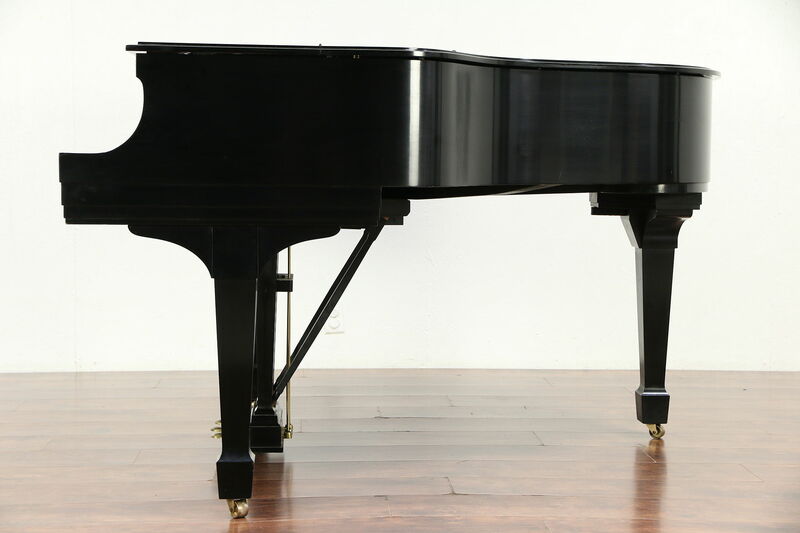 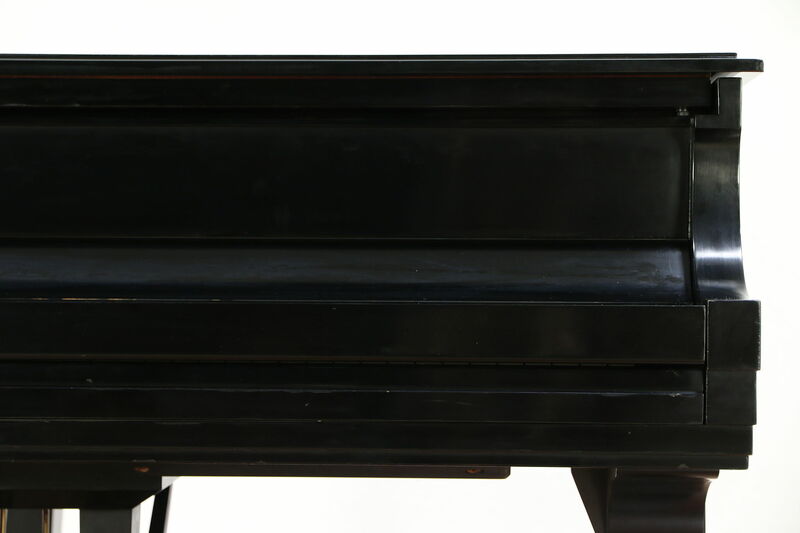 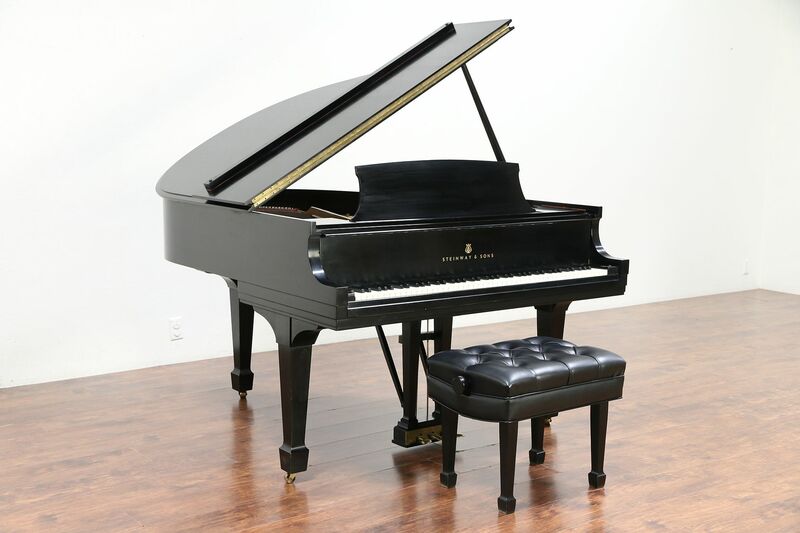 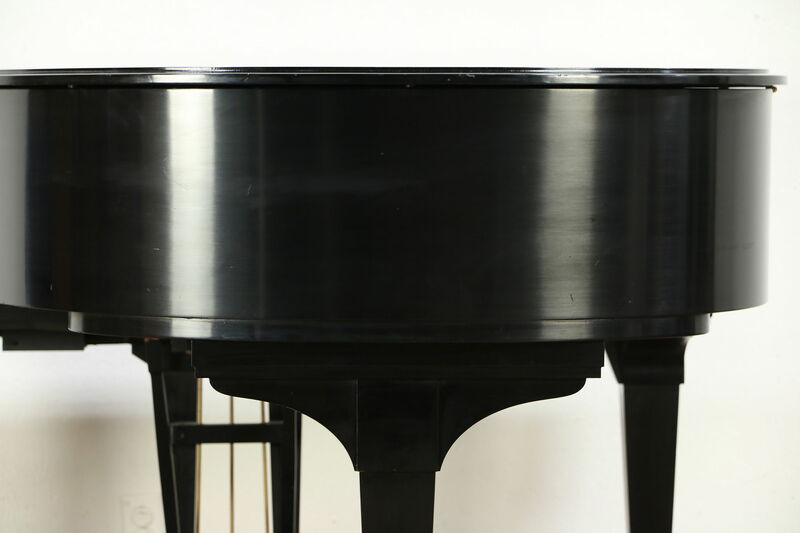 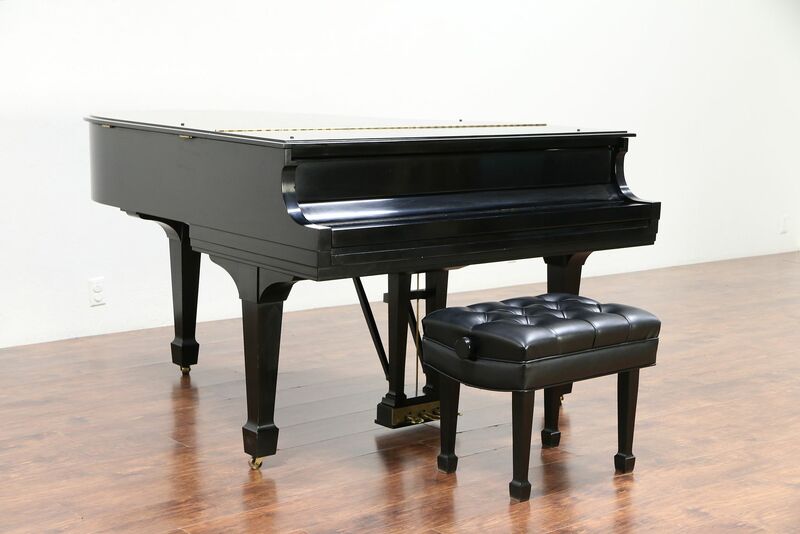 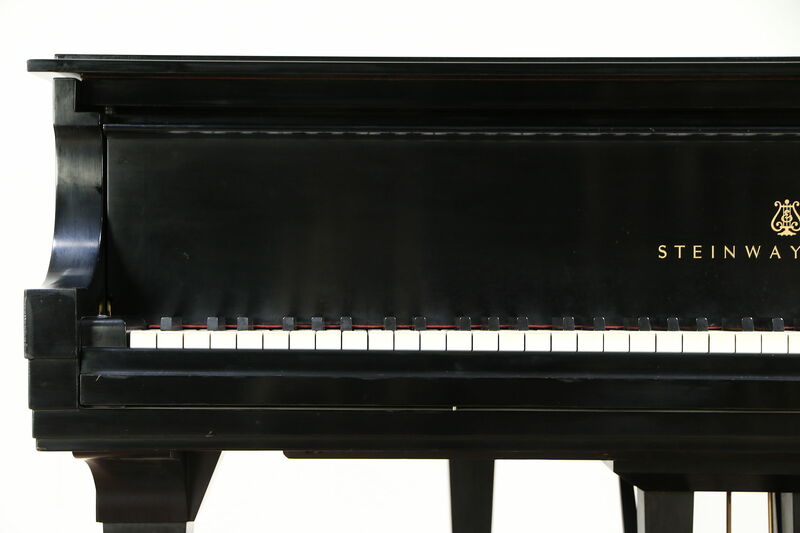 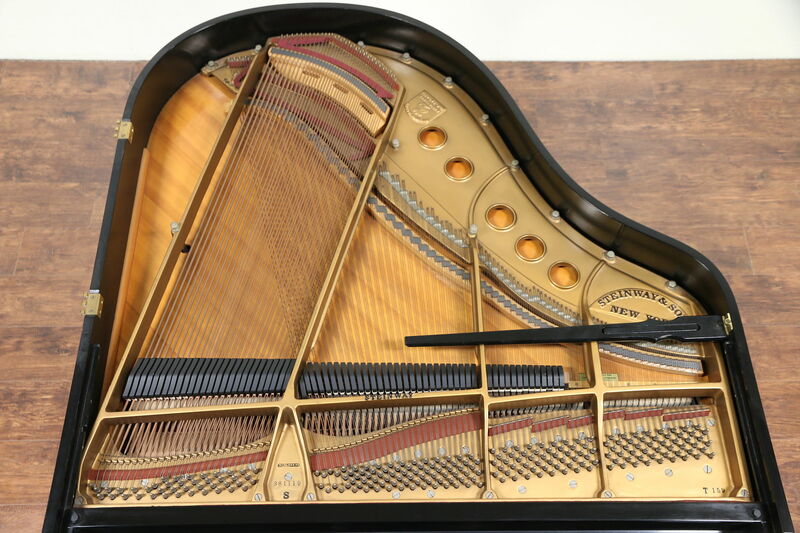 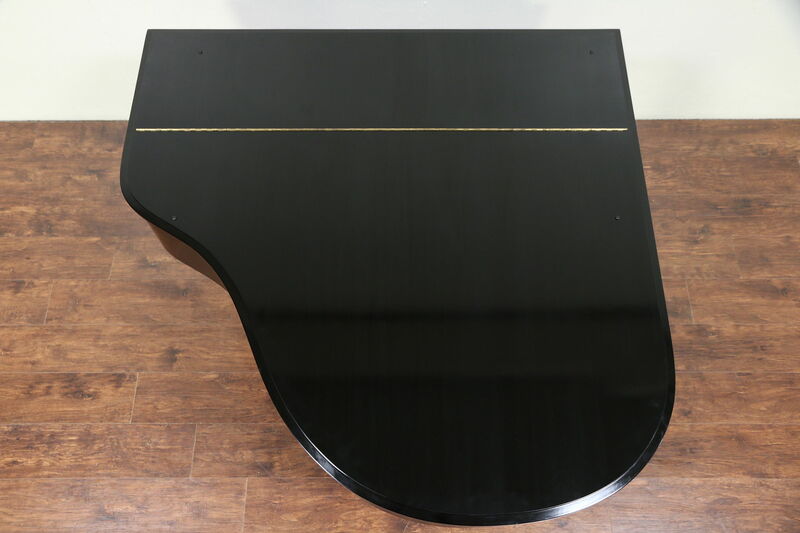 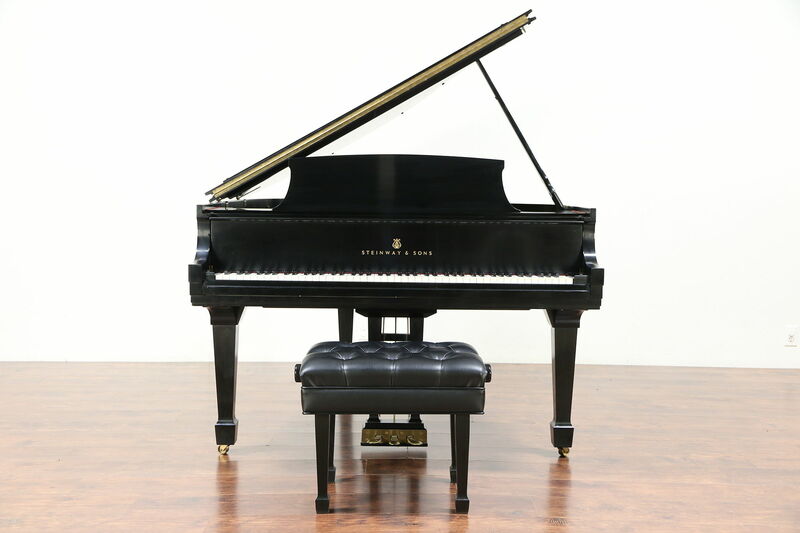 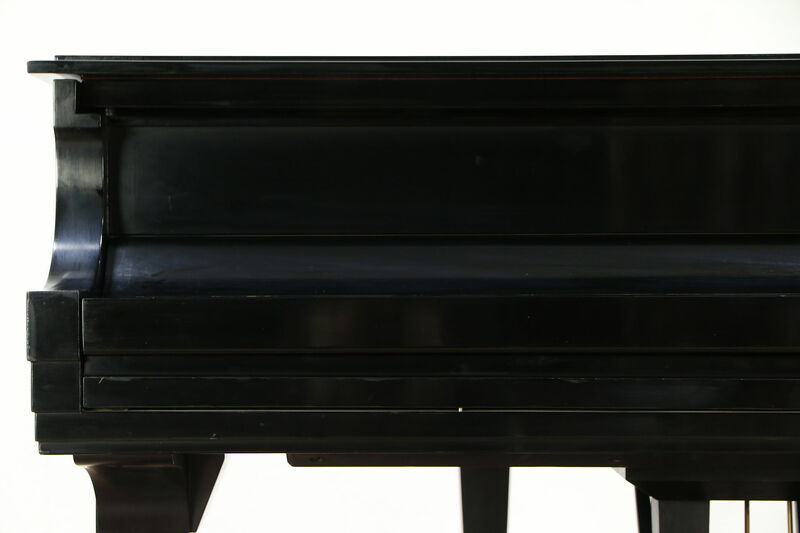 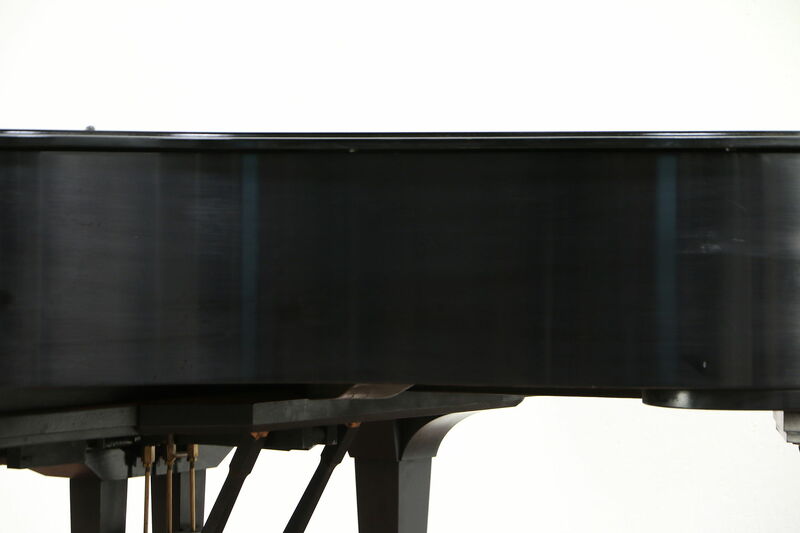 America's premier piano, this signed "Steinway & Sons, NY," ebony Model S grand piano includes a professional adjustable bench. 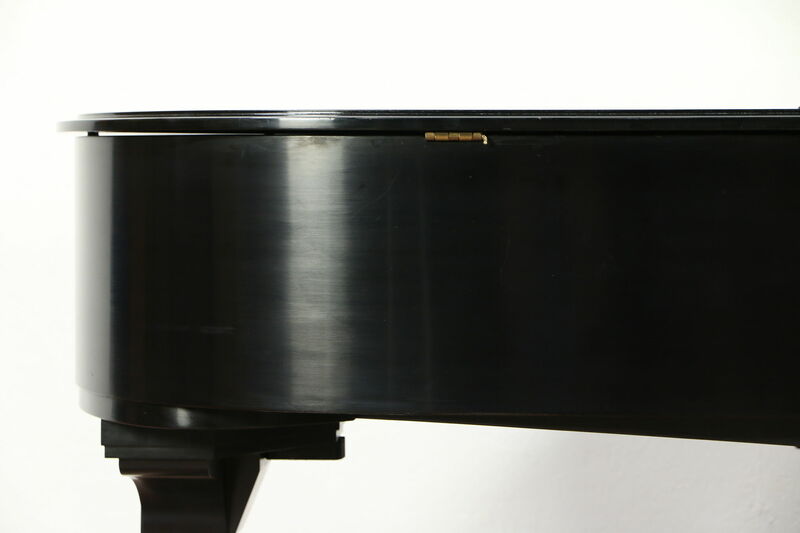 Hand crafted in 1963, the satin hand rubbed finish is in very fine condition with minor mars and touchups, see photos. 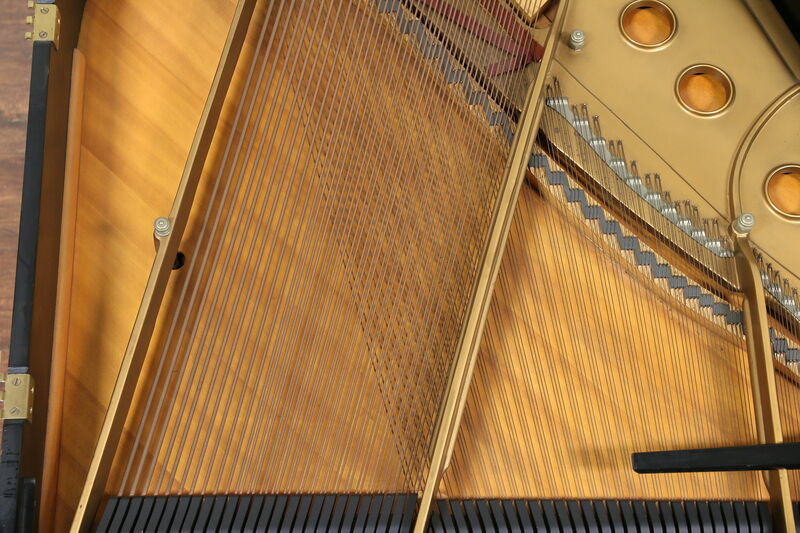 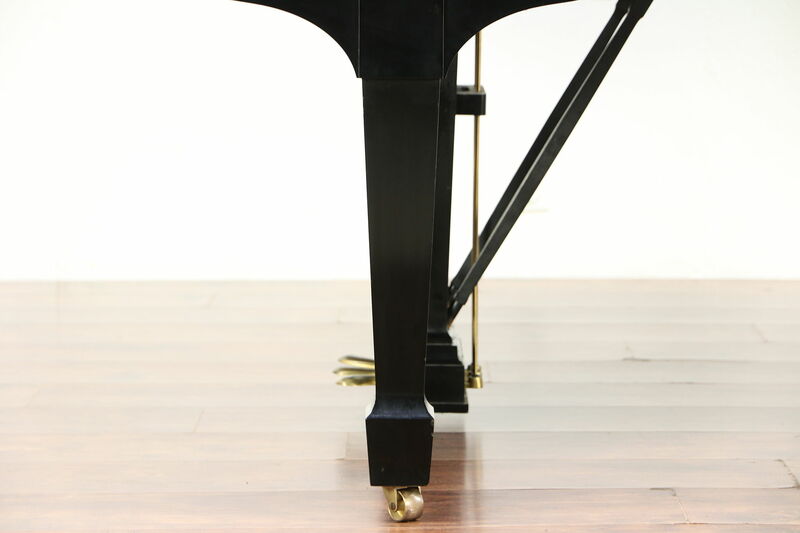 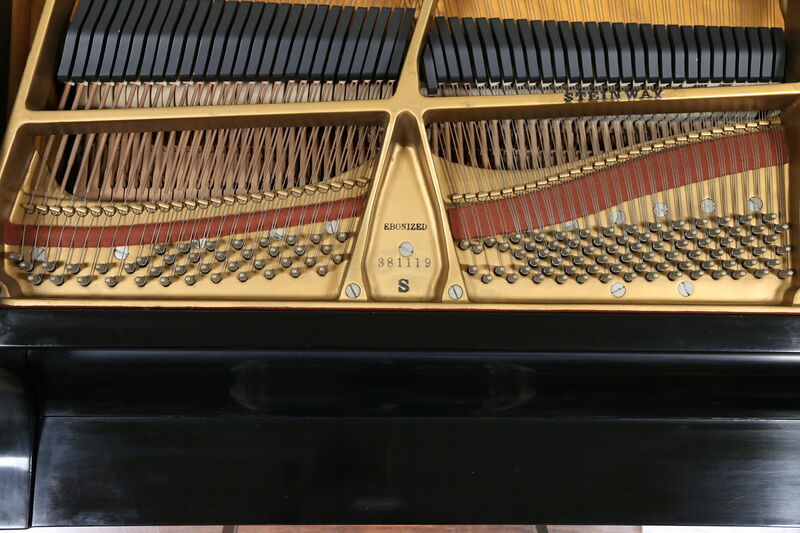 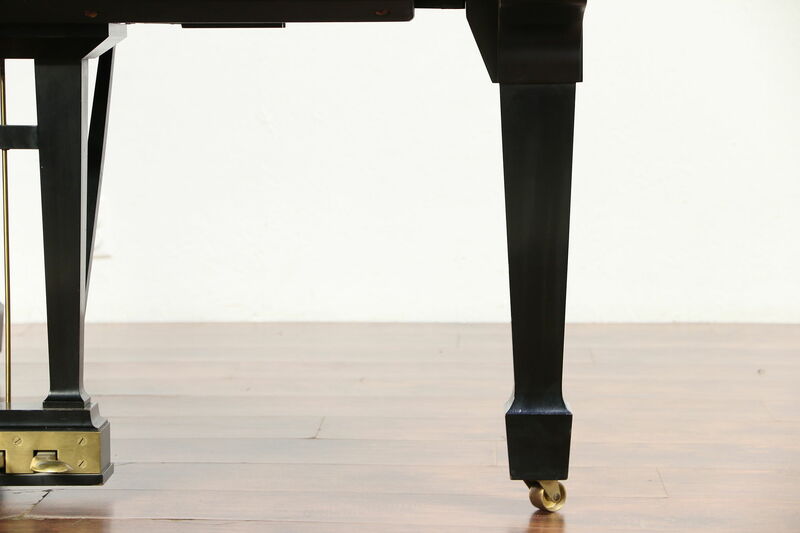 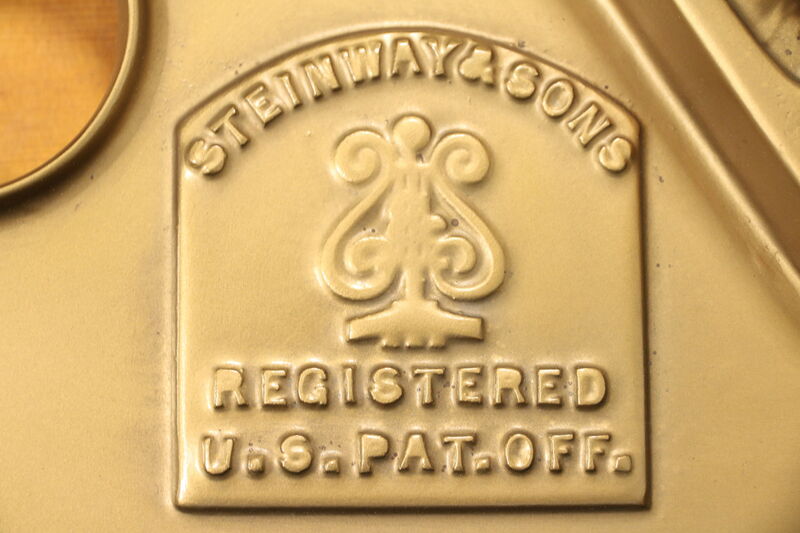 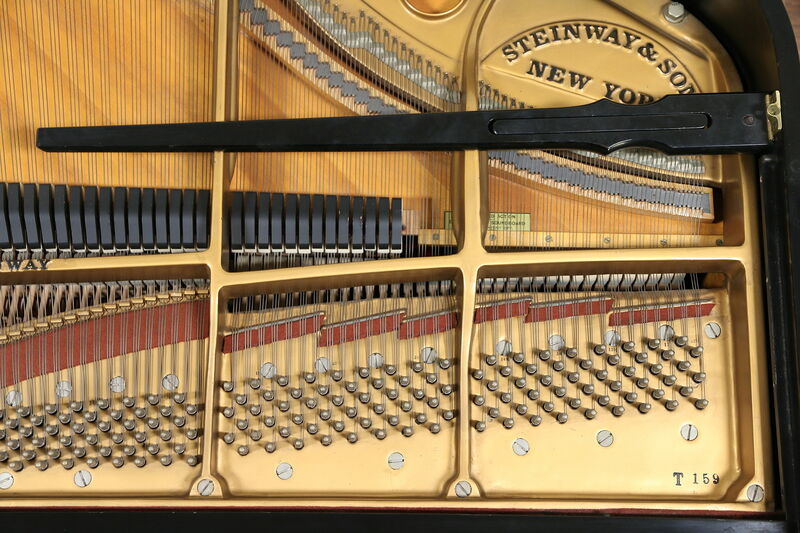 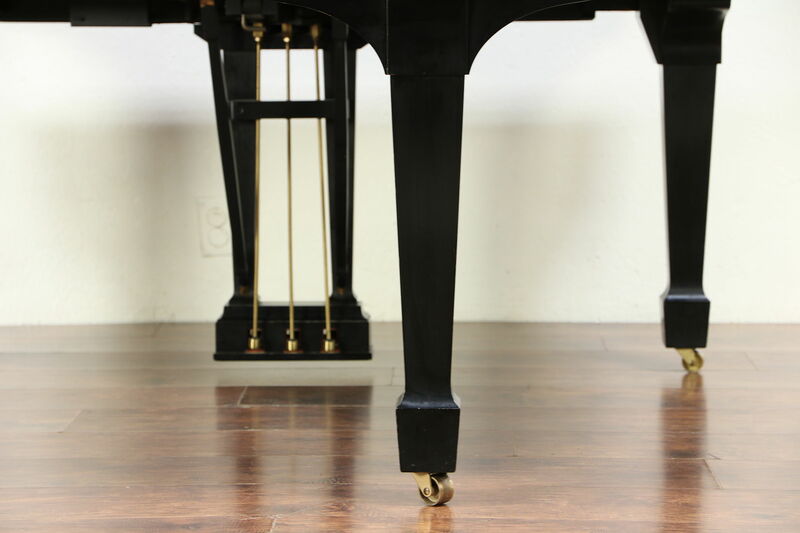 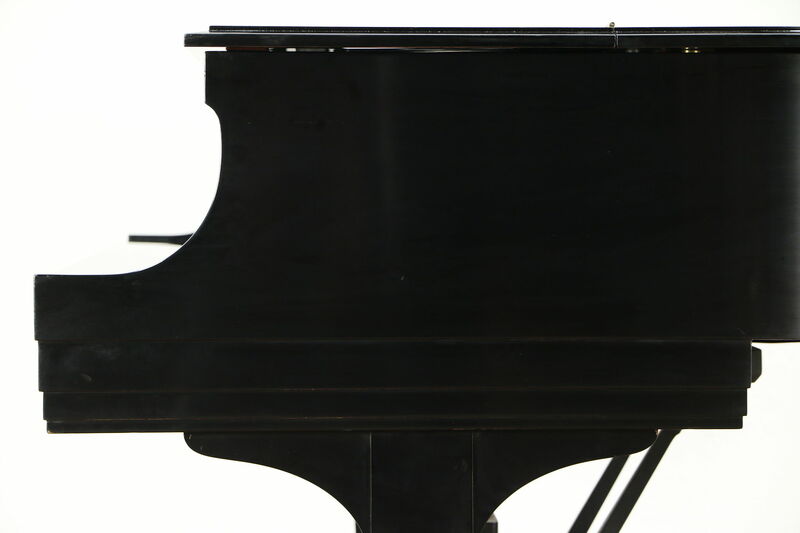 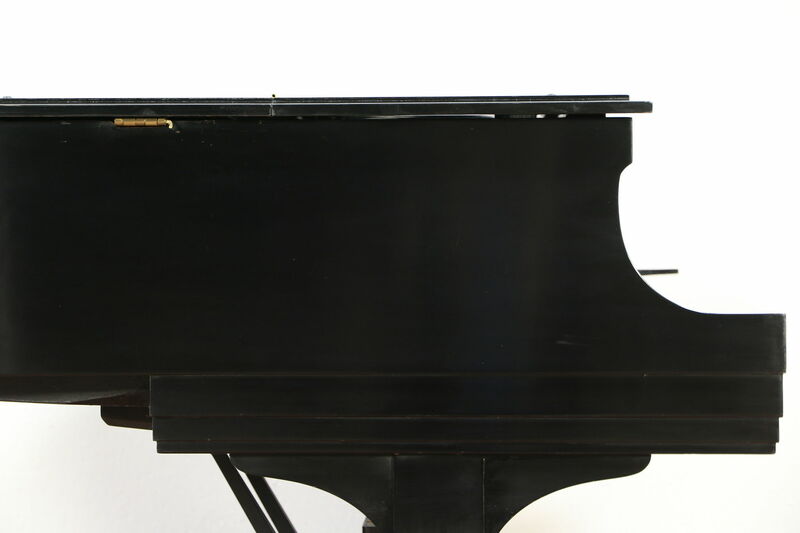 The action is lively with the wonderful deep resonant tone that Steinway is famous for. 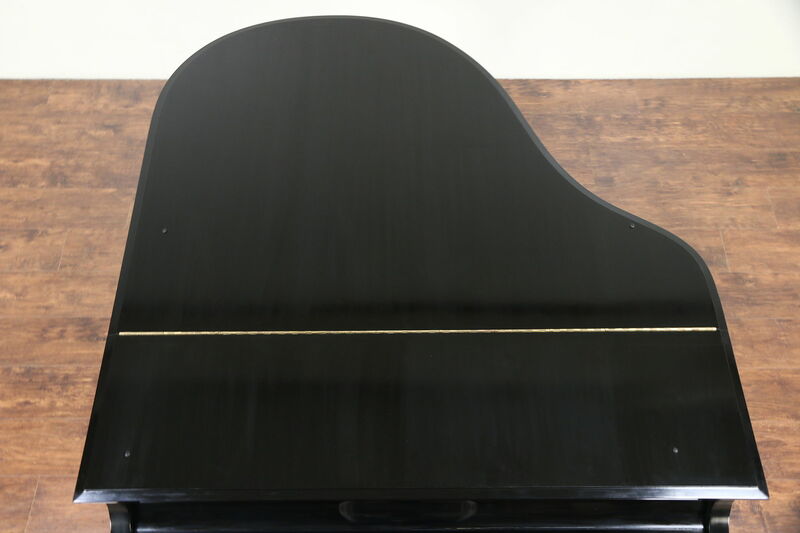 Played very little, the piano has been professionally tuned and adjusted, and will probably need another tuning when delivered. 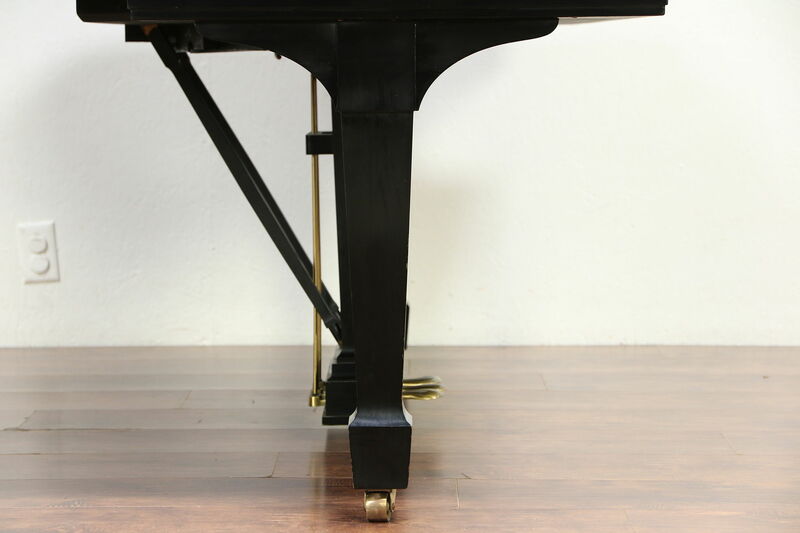 Hammers, soundboard, etc. 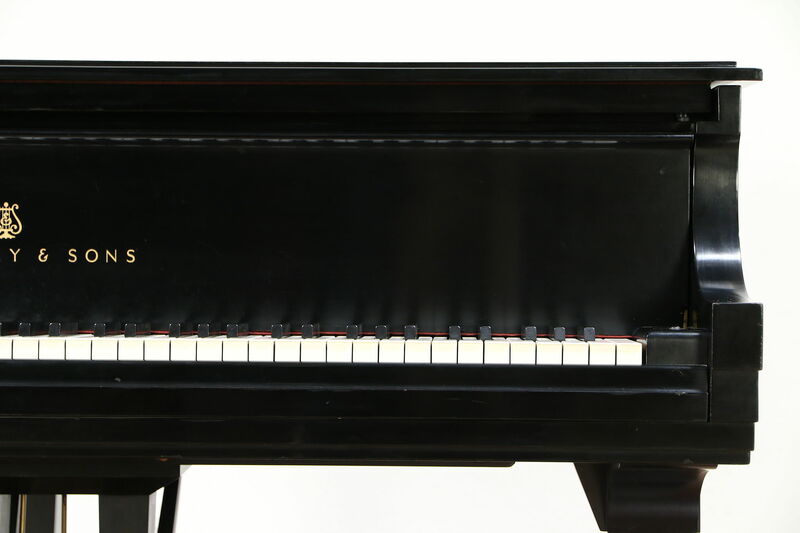 are all original and in very fine condition on this vintage instrument. 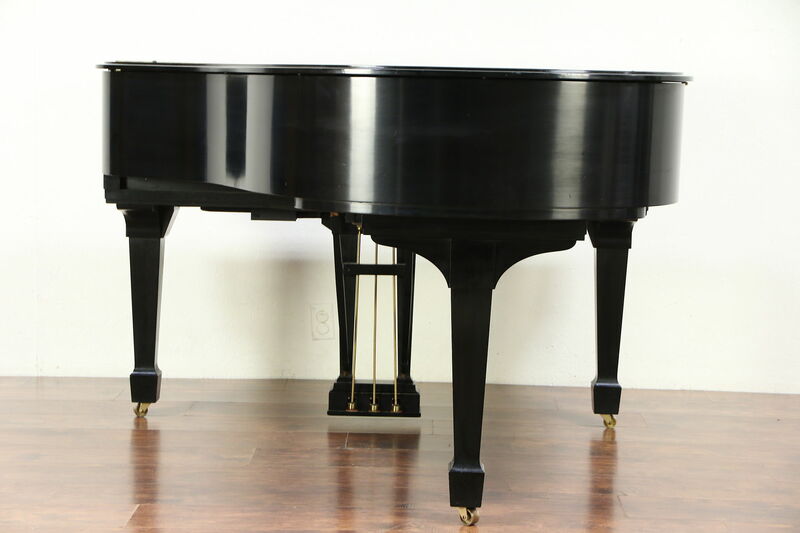 Current price is about $45,000. 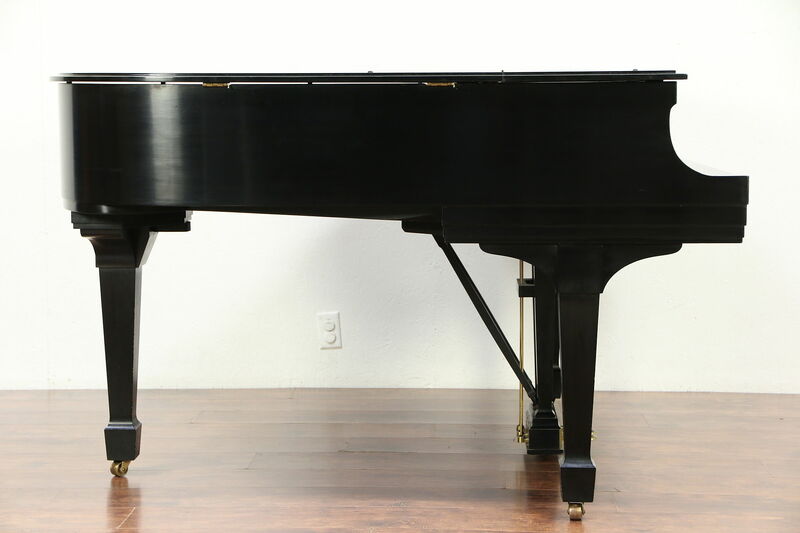 Measurements are 57" wide, 62" long and 39" tall when closed. 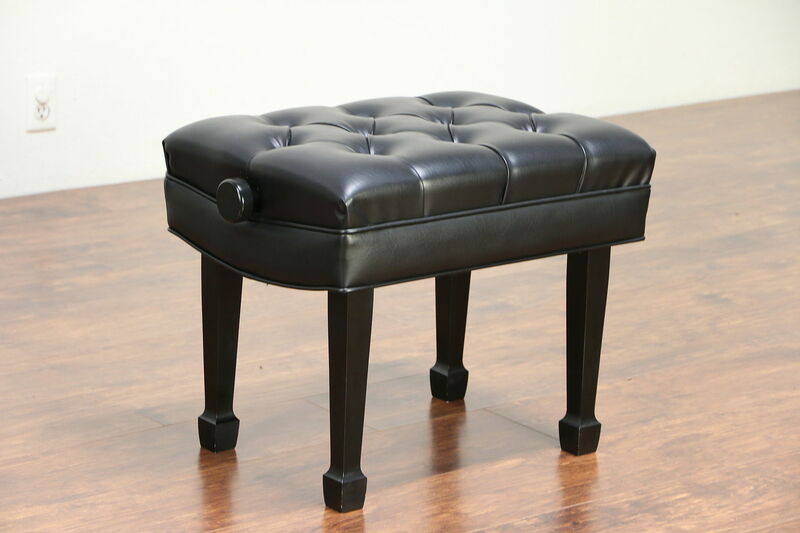 The bench has tufted upholstery and measures 25" x 17" and is 19" tall as shown, adjustable up and down with a rugged iron mechanism.